If you have kids, you know how difficult it can be to get them to eat the foods that are good for them, especially fruits and vegetables. Even if your child eats a relatively healthy diet every day, there may still be nutrient gaps that may affect growth and development. 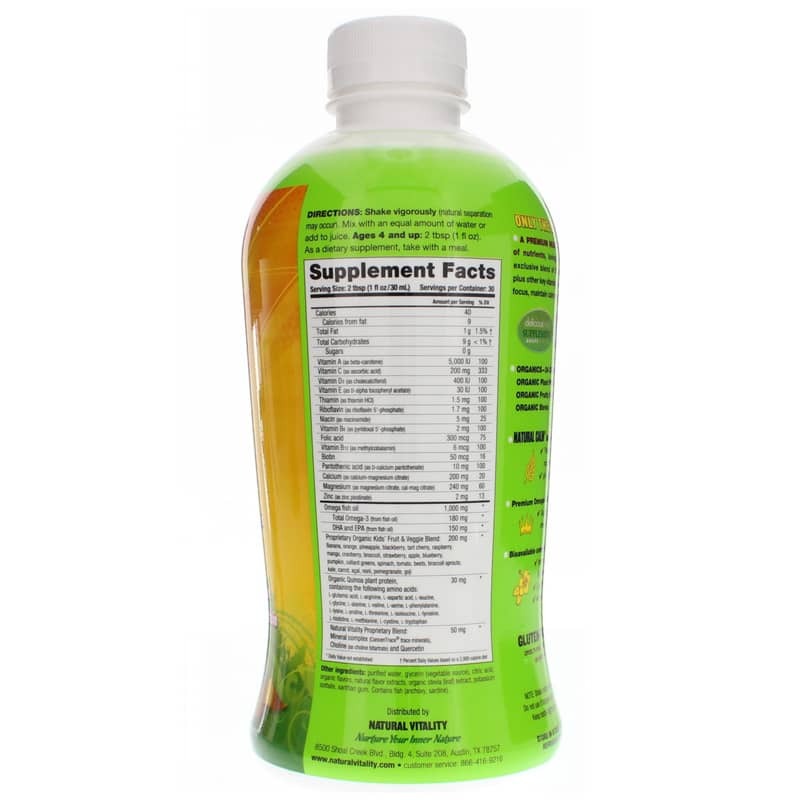 Kids Natural Calm Multi from Natural Vitality is a dietary supplement that combines the beneficial effects of magnesium with a broad-spectrum multivitamin to provide children with key nutrients that may be missing from their daily diets. It also promotes healthy growth and development. Every batch of this product is made without dairy, egg, wheat, gluten, artificial colors or artificial flavors. It is also 100% GMO free, and comes in a convenient liquid form with a great-tasting fruity splash flavor your kids will absolutely love. Getting your kids to take their vitamins has never been easier. 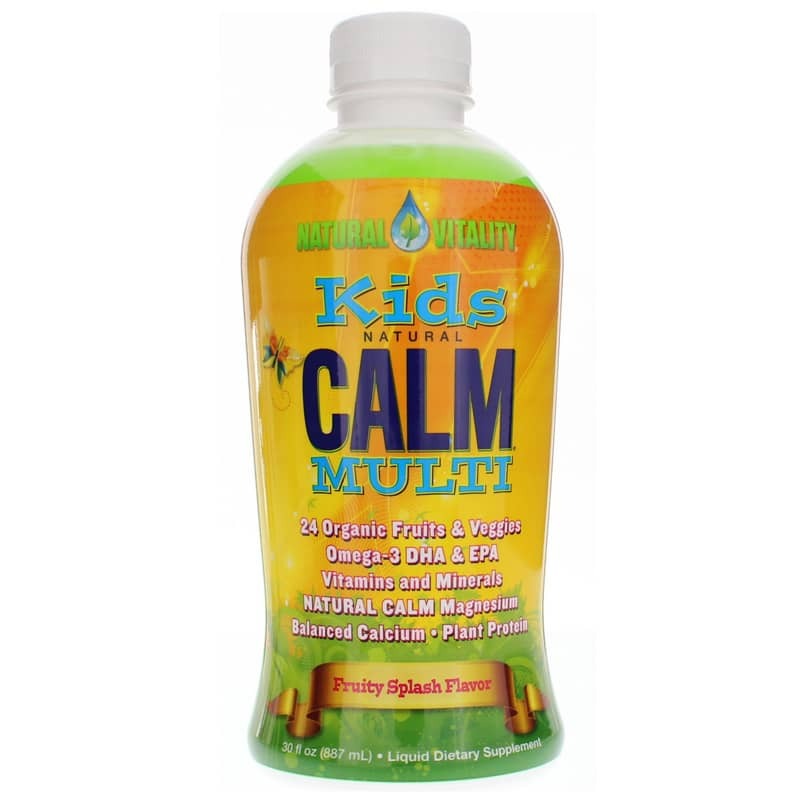 Just mix Natural Vitality's Kids Natural Calm Multi with water or juice and have them drink up! ---Banana, orange, pineapple, blackberry, tart cherry, raspberry, mango, cranberry, broccoli, strawberry, apple, blueberry, pumpkin, collard greens, spinach, tomato, beets, broccoli sprouts, kale, carrot, acai, noni, pomegranate, goji. 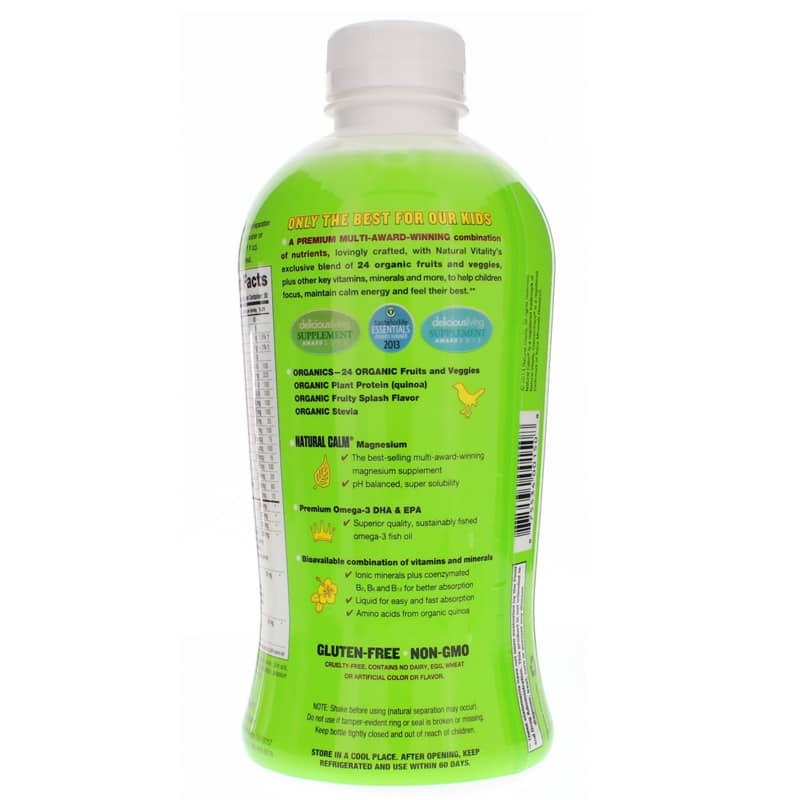 Other Ingredients: purified water, glycerin (vegetable source), citric acid, organic flavors, natural flavor extracts, organic stevia (leaf) extract, potassium sorbate, xanthan gum. Contains NO: gluten, GMOs, dairy, egg, wheat, or artificial color or flavor. Shake vigorously (natural separation may occur). Mix with an equal amount of water or add to juice. Ages 4 and up: As a dietary supplement, take 2 tablespoons (1 fl. oz.) with a meal. Keep refrigerated and use within 60 days.